The VHF/UHF field day in January is one of my favourite events. I have had some great surprises on these weekends. I had no idea what to expect this time, though the weather was forecast as damp on Saturday and dry on Sunday. I arrived on site around 6pm Friday night. Along the route from Yass via the Mountain Creek Road I had noticed a lot of debris on the road, including some tree branches that had been broken off by high winds. I didn’t realise a storm had gone through Canberra while I was driving to Mt Ginini, breaking trees and strewing debris all over suburban streets and bringing trees down over some of the arterial roads, leaving damage that would be visible for weeks afterwards. This is how far I got setting up on Friday night. After this, the wind came up and the rain and sleet started. 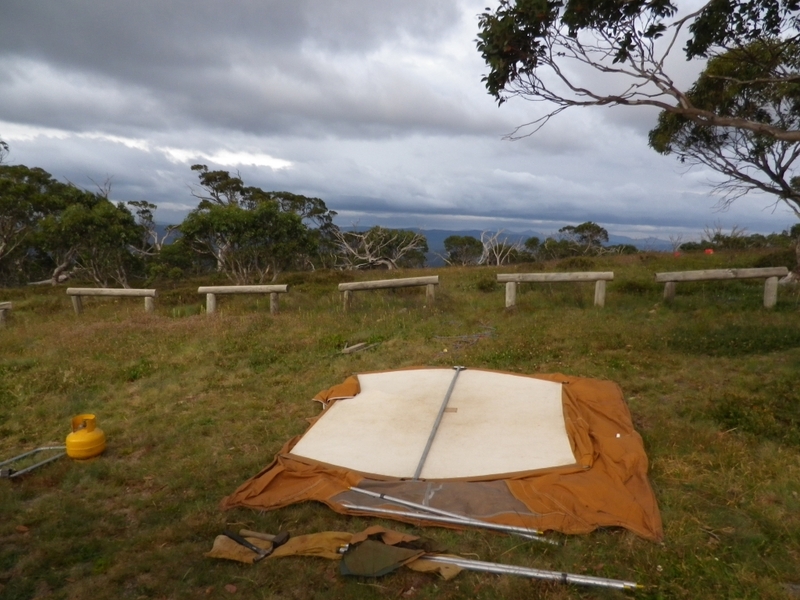 The weather at the time was windy and when I tried to set up the tent it was clear that it would not survive that wind. In the hope that it would clear away in a few hours, I decided to sit it out and stayed in the car. By 9pm it was dark and I had to decide whether to re-pack my tent and go back to Canberra for the night or hang on. I decided to hang on. It rained quite heavily for a while and the wind kept howling so once it was really dark, I felt there was no other option. In the early morning it seemed to be better. The wind was still there but didn’t seem so bad. The rain had cleared. But I hadn’t slept much. 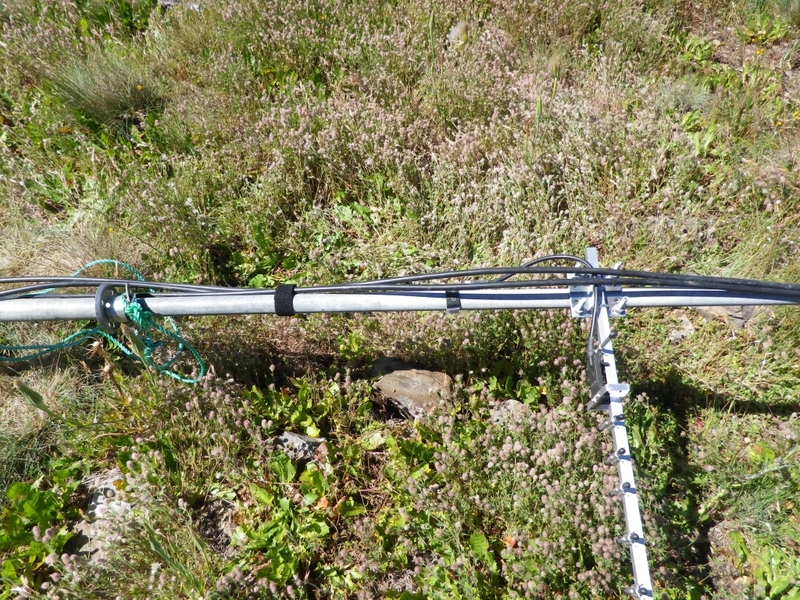 I set about the job of assembling the antennas, the tent, the interconnections and generator. By 12 noon, the contest start time, I was just about ready to roll. The erected antennas looked very much like they have for the last 10 years so I didn’t take any new photos of them. 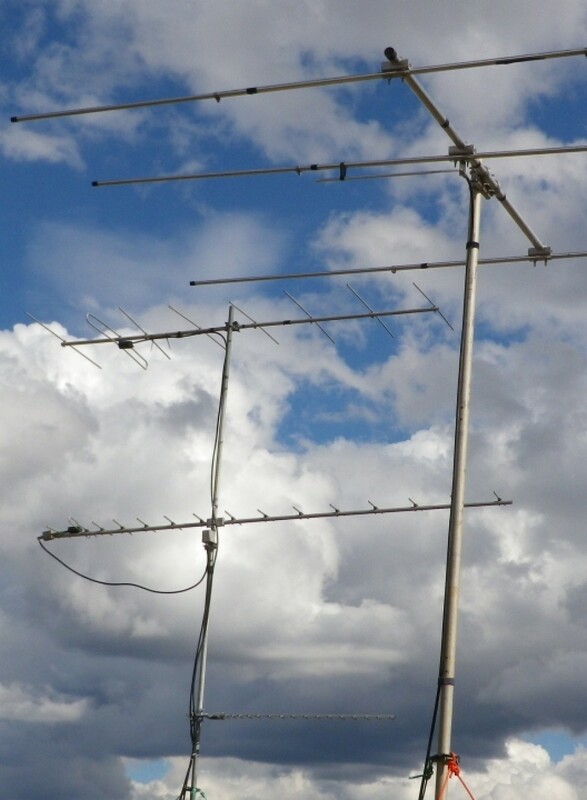 The 2m, ;70cm and 23cm yagis on one mast and the 6m 3el yagi on another, both rotated from the base using KR400 rotators. Feedlines: RG9B for 2m, CNT400 for 70cm and 23cm, RG213 or similar for 6m. 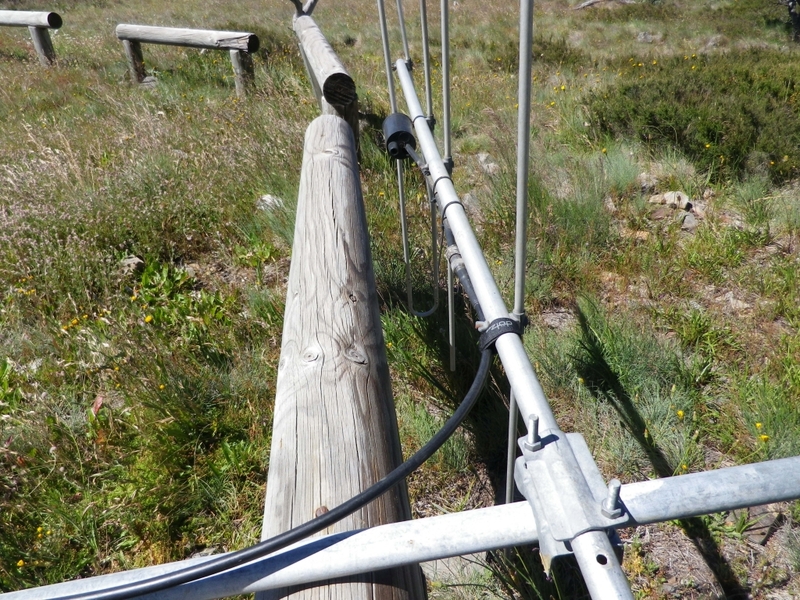 Here’s a pic of the antennas from a previous operation at Ginini. A few configuration differences for the 70cm antenna but otherwise very similar this time. Once I got on the air, I found beacons from VK3 were very low, the Sydney beacons were almost undetectable and few portables outside the VK1 area. Only VK2IO was heard initially, but one or two others did emerge later in the weekend. VK1DSH, VK1RX, VK1RW, VK1MT and VK1AI were all out in the field, most of them on 50/144/432 and Dale was on 1296 as well. We had a small number of home stations operating the bands too. 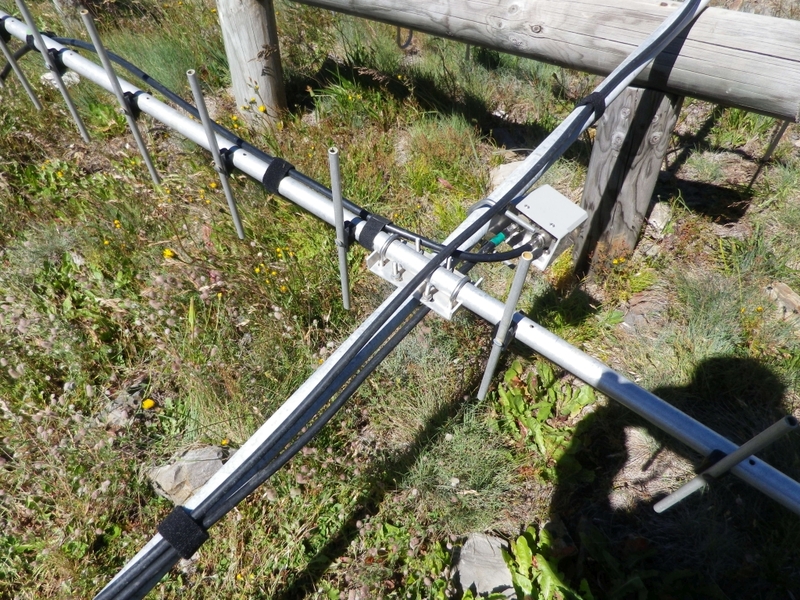 After working Gerard VK2IO (Mt Bindo near Oberon) I then worked Phil VK5AKK on both 144 and 432. We tried 1296 too, but although I could hear a signal from his 100w, my 10w was too far down to make it a two way contact. A digital mode would have worked. hmm. More power on my end would have helped too. Double hmm. The day progressed without any more surprising dx, and I found it hard to convince myself to stay awake after 9pm, having got very little sleep in the driver’s seat of the car on Friday night. At 5:30 in the morning, there were good signals from the vk3 beacons, Sydney was a bit better too. And I had a very good signal from the Mt Gambier beacon on 144.550 plus a weak signal from Mt Lofty on 144.450. I hoped this indicated something of the contacts to be made in the following hours. It did, partly. VK5DK at Mt Gambier was worked, as was VK5PJ. But conditions were not good enough to give us contacts on higher frequencies. My surprise contact on Sunday morning was being called by Mike VK3BDL/7 at Flinders Island. After working me on 144 and 432, Mike went on to work Chris VK2DO at Batemans Bay on 144, a contact which they were both very happy with. 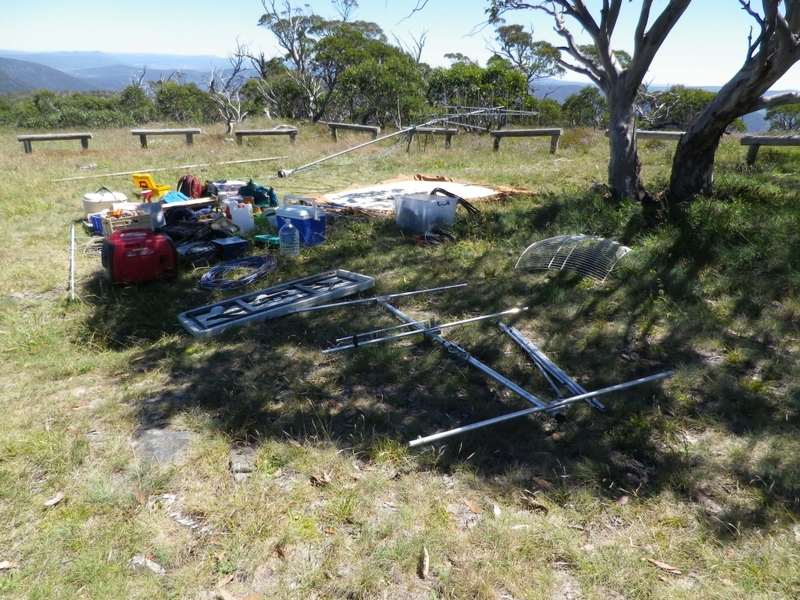 Eventually the contest ended and I followed it up with a short period of activating Mt Ginini as a SOTA station, using the IC703 running from a LiFePO4 battery. I had at 6am set up the 20m vertical in the hope of making an S2S with a US station who was looking for VK contacts. I may have been a bit unlucky with conditions, or jut not spending enough time listening for the US signals. No luck with S2S but did have a good contact with home station NS7P on CW. The packing process took about 4 hours and I left the summit at 5pm. A 2 hour trip back to Yass and a welcome shower and a cold drink when I got there. The 6m beam seen in the foreground (in the shade, sorry) travels in a partially assembled state. The gamma match stays in place, but the extensions just come out of each element and it then is not much wider than the 2m beam and is narrow enough to be carried quite safely on the roof rack of the car. Mostly packed up and ready to be loaded into the car and trailer. 2m and 70cm mast still to be disassembled. Points lost due to a wrong grid locator: about 10. Points lost due to not enough other portables: 500,000.